The three-year GENDER-NET project brings together a well-balanced partnership of 13 programme owners and managers from 12 countries in Europe and North America, which share a top-level commitment to the promotion of gender equality in research institutions and/or to improving the integration of the gender dimension in research contents and programmes. In addition, 10 key organisations – 2 in Germany, 1 in Canada, 2 in Austria, 2 in Norway, 1 in USA, 1 in Iceland and 1 in the Czech Republic – follow the GENDER-NET scheme as non-funded Observers. The project also receives advice from an international Expert Advisory Board. 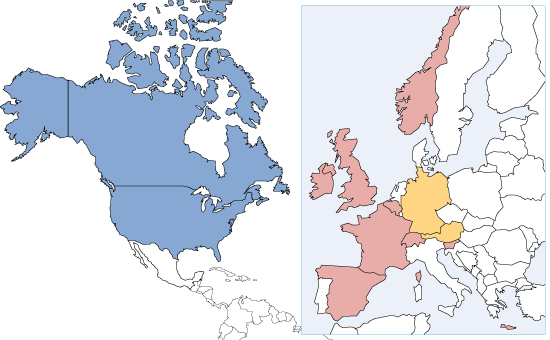 Two non-European countries: Canada and the United States of America.